A very nice blueberry jam recipe , which is a bit different from the standard. Yum! The jam simmered for about half an hour on the stove. I did not use the tea bag method -works out fine if you simmer the chunks of Apple and cinnamon stick with the blueberries. You just fish everything out when you're ready to jar the jam. Would make this version again. This recipe is a good way to preserve extra herbs at the end of the season to use through the winter. It is also known as Quebec salted herbs. It's available on their website Well Preserved. You basically chop up herbs and greens finely and mix or layer them with salt and put it in the fridge. It lasts for months and can be used in place of salt when making stews, soups, omelettes, etc. Or, if you just want the herbs, put it in a fine strainer and wash out the salt. 2017 Piglet Community Pick: While there are a lot of recipes for novice preservers, others do take some skill, patience, and/or concentration. ...is the most comprehensive preserving book that we saw this year. It contains more than 200 recipes for jamming, pickling, dehydrating, infusing, and fermenting...It’s a must-have for avid canners. ...deals with seven styles of food preservation, offers recipes for using the food you’ve preserved, and helps you make the very most out of every scrap of food you grow, buy, and forage. Joel and Dana’s journey into preserving began with an innocent lesson in making jam. Almost a decade later, WellPreserved.ca is an extraordinary resource for both beginners and experts alike. Their much-anticipated first cookbook showcases seven different preserving techniques—waterbath canning, pressure canning, dehydrating, fermenting, cellaring, salting & smoking, and infusing—and takes readers on a trip to the market in twenty-five ingredients. 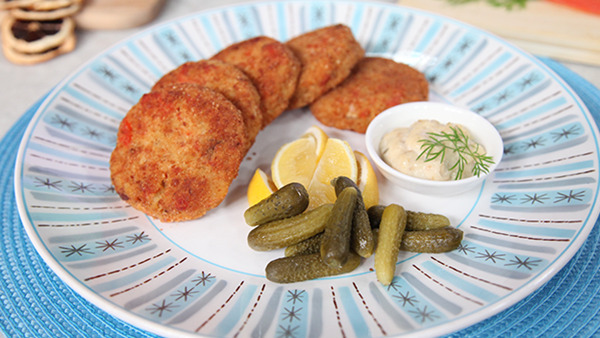 Within each ingredient chapter, you’ll find multiple preserving recipes using the different methods. From apples, pears, peaches and rhubarb, to asparagus, peppers, mushrooms, and tomatoes, and covering a variety of meat and fish, Batch teaches you everything you need to know to get the most out of your kitchen. With their signature approachable and fun style, Joel and Dana showcase techniques for a variety of skill levels, explain how to batch your recipes to make two preserves at once, give you multiple options for preserving in ten minutes or less, and serve up mouthwatering center-of-the-plate meals that take your preserves from the pantry to the table. 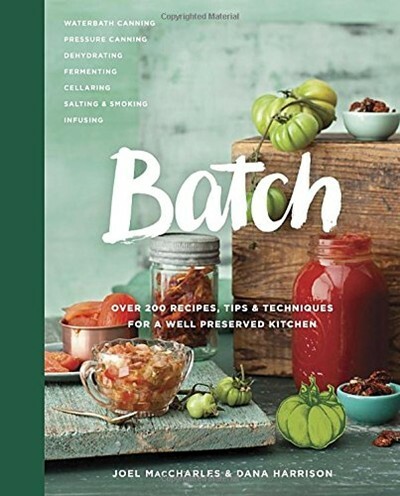 With personal anecdotes, creative and incredible recipes, and beautiful photography and illustrations, Batch will show you how to incorporate preserving into your life and your community.